All Supplier Management Initiatives start out with high aspirations, promises to upper management that the program will result in better performance, lower costs, more innovation and overall better relationships with suppliers. In many cases with proper planning and management then rollout of a successful initiative can be easily achieved but quite often it’s not the case due to a number of reasons. 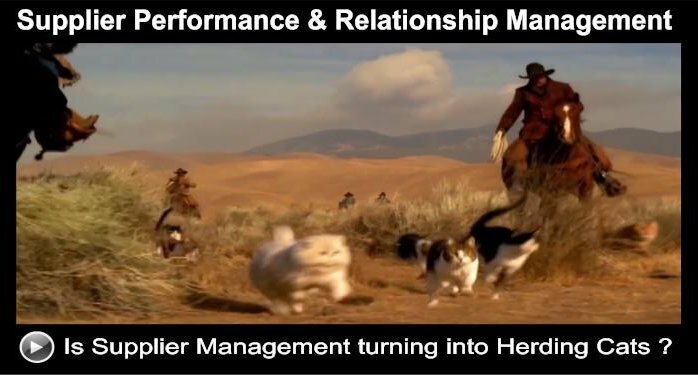 Having been involved in Supplier Performance & Relationship Management for nearly 20 years I have often been brought into advise on failing SPM / SRM Initiatives with the aim to turn them around and deliver value add to both sides in the relationship. I have come across a vast range of reasons for the failure of SPM / SRM Initiatives. Some of the failed Initiatives are so poorly planned and managed that they end up costing huge amounts of money and wasted resource for both buyer and suppliers and ultimately that it ends up like as an expensive Herding Cats initiative with little ROI or value add to either side. Before I list the 25 or so reasons for failure If you have not seen the famous EDS Cat Herders video from January 2000 you can watch it here. It is very representative of just how hard suppliers could become to manage under a failed or poorly planned initiative, Then view the 25 reasons for failure below. In no particular order of Importance here are 25 of the Main reasons for failure. The SRM Initiative was devised and run by IT / Supply Chain with little or no involvement from Category Management / Operations. The SRM Initiative is too wide reaching and does not focus on strategic suppliers within strategic business impacting category lines. The Initiative has not been socialised well enough with the suppliers being managed during the planning and prelaunch phases. The initiative places too much burden on the supplier in terms of data collection. The buyer does not have the resources to effectively manage the suppliers. The buyer does not put the right experienced people in place to manage the relationships, ie people with the necessary category line experience for the product or service being managed. Performance data was available to IT / Supply Chain but not relayed to operations in a timely fashion. The benefits of the SRM program are buyer focused and deliver little benefit to the Supplier both in terms of Value add and Metrics on how the initiative is improving performance, innovation and overall relations. The wrong KPIs were implemented that do not add value to the management of that particular category / service line. 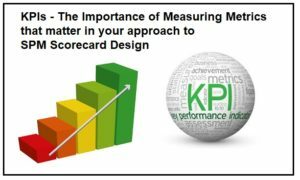 Too many KPIs were used resulting in a lot of effort and lack of focus. Data collection is not automated. Manual input and double keying of data was widespread – a huge waste of resource. The supplier cant give the data needed at the level required. The system is not accessible to the supplier users. Which prevents realtime collaboration on performance data. The system does not allow drill-down to performance at local level. Performance Targets are too rigid and don’t take into effect the need for flexibility at regional or local levels. KPI formula or definitions are not standardised across the buying organisation. The supplier does not see any value in the system. It was forced upon them at a time when they needed the buyers business. The supplier was charged for accessing the system. Thereby creating a lack of user collaboration due to complexities and administration in on-boarding supplier users. The system is data heavy and visually poor at representing performance in a highly visual way. The buyer did not Implement a balanced set of KPIs, merely got focused on cost, efficiency and on time delivery of the product / service. The Initiative had buy-in at regional level but not globally. Resulting in confusion for suppliers of that buyer in other regions where the supplier was not managed. The system was slow and cumbersome to use. The system lacks the ability to effectively report, track and easily manage and close out non-conformance issues. The initiative has no linkage or way of managing performance risks. Improved performance levels were not incentivised and rewarded properly. A few of these when combined can derail an SRM Initiative. While this list is not exhaustive and represents just some of the possible causes of failure, quite often the buyer continues with a poorly planned initiative rather than can or fix it. This continuation as is, eats up, not just internal resources but also supplier resources for little or no return. This results in price increases from suppliers to cover the extra effort. Eventually the poorly planned Initiative fails and it takes many years and a lot of additional effort to try and get both executive buy-in and supplier buy-in to start another similar initiative. So make sure you avoid the pitfalls or you will end up Herding Cats. I would love to hear other experiences of people that both struggled with implementing their SRM / SPM initiative and also any success stories, and advice that you can offer.